Hi, I’m Meredith Rose, and for the next several paragraphs, I’ll be your host as we discover the joy of writing an introduction. Composing an introduction can be intimidating, sometimes even more so than writing the body of the paper! However, my good friend Bob Ross and I are here to tell you that fretting over your introduction is not necessary. As this wise old artist once said, “All you need to paint is a few tools, a little instruction, and a vision in your mind.” The same rings true for introductions: “All you need to write an introduction is a few tools, a little instruction, and a vision in your mind.” So… let’s write a happy little introduction together! Look no further than the first season, first episode of The Joy of Painting to find Bob’s greatest lesson on writing an introduction. In the first two minutes of this episode, Bob lays out a simple yet almighty example for how to introduce any essay. Click on this link and watch from 0:00-2:10 before we discuss Bob’s technique. Welcome back! Let’s break this down a little. Bob uses what I like to call the Inverse Pyramid of Introduction in this first episode. As the graphic depicts, the four sections of an introduction are: topic, attention, background, and thesis. In addition, the inverse pyramid demonstrates how each section of an introduction becomes more and more specific to the central discussion of the essay. If you follow Bob’s example and use the inverse pyramid technique, you are sure to write an almighty introduction every time! Now, time to drag out your old #2 pencils and composition books as we discuss the four sections of an introduction. As you saw, Bob begins his introduction by stating, “Hi, I’m Bob Ross, and for the next thirteen weeks, I’ll be your host as we experience the joy of painting.” Before going any further, I would like to extend a warning that Bob Ross is undoubtedly a friend of Tony Stark (aka Iron Man). By this, I mean that he too is a fan of non-academic language. (If you have no idea what I am referring to, please click on the following link to familiarize yourself with our last Writing Process blog entitled “Academic Writing: A Time to be Thor, not Iron Man.”) With this in mind, it is still possible to learn from Bob’s example, if not his actual word choice. You’ll notice that Bob’s first sentence is broad. He does not include any details about how or what he will be painting. He simply introduces the topic. So, tell me, what is it that you’re writing about? Have you been asked to discuss the cause and effects of the Great Depression? Or maybe your assignment is to analyze the poetic devices of Shakespeare’s “Sonnet 18”? How about a prompt to examine the marketing mix used by Dollar Shave Club to reach its target market? Whether you’re writing a cause and effect essay for history, a literary analysis essay for English, or a research essay in marketing, you should always begin by introducing the topic, the work, the event, or the person you’ll be discussing. Take my example italicized above. The first sentence of this essay’s introduction might read, “The marketing mix includes product, price, distribution, and promotion, and it is integral to the success of all businesses.” Notice that this sentence, just like Bob’s, is broad. It does not specifically mention Dollar Shave Club or how they utilize the marketing mix. Rather, it simply introduces the topic and leaves specifics for later sentences. The most versatile section of the Inverse Pyramid of Introduction is attention. There are countless ways to grab your audience’s attention, but the method that Bob used in his almighty introduction is making a claim. A claim is asserting a statement as fact, preferably something unexpected. While Bob rambles on and on in the attention section of his introduction (there’s that non-academic language again), it can be summed up effectively by one of his statements: “I think there’s an artist hid in the bottom of every single one of us. And here, we will try to show you how to bring that artist out to put it on canvas, because you too can paint almighty pictures.” Did you hear that unexpected assertion? You too can paint almighty pictures! I don’t know about you, but that’s quite a claim given my prior artistic endeavors, and it sure does grab my attention! So how can we follow Bob’s example in our own academic writing? Let’s return to my marketing essay example. Perhaps the next two sentences of the introduction would read, “Dollar Shave Club, a subscription-based shaving service founded in 2011, created a marketing mix that satisfied its target market. This strategy resulted in the company selling out of inventory and acquiring 12,000 subscriptions just six hours after its first promotional video was posted on YouTube.” Notice that this sentence both grabs the reader’s attention by making a startling statement and further narrows the topic of discussion. While the first sentence of the example introduction mentioned only the marketing mix and its components, I have now named Dollar Shave Club as the company whose marketing mix I will discuss. The next section of an introduction further explains the topic before the thesis is stated. As you watched, Bob includes some pertinent background information with his audience before the show begins. “I’d like to go over some of the equipment we’ll use before we start,” he says. Bob then informs his audience about the types of brushes he’ll use, describes important aspects of the pallet knife, and names the colors that he’ll paint with. He also informs the audience that they will paint freely without tracing patterns. All of this information serves to explain the topic of painting before Bob states his thesis for The Joy of Painting series. I can follow Bob’s example by adding these two sentences to my marketing essay introduction: “Michael Dubin and Mark Levine, co-founders of this revolutionary shaving service, clearly understand the importance of the marketing mix and know how to manipulate it to make a profit. Today, the firm estimates $140 million in sales, has two million online subscribers, and ships fifty million shaving packages every year.” These background details about Dollar Shave Club give my readers a clearer understanding of the company and demonstrate why the firm is a good example from which to learn. There are many important things to remember about the last section of the Inverse Pyramid of Introduction. First, every good essay has a thesis. Without one, readers have no idea where specifically the paper is heading. Second, every good thesis guides the reader through the points that the body paragraphs will discuss. A thesis that does not do so… well, is not really a thesis! Lastly, in every good introduction, the thesis statement is the last sentence of the paragraph. While we can debate what order topic, attention, and background should come, the thesis always concludes the introduction. Now, take a look at Bob’s thesis: “We start with a vision in our heart, and we put it on canvas. And we’re here to teach you to be able to do this too. So let’s do it! Let’s paint a picture.” Bob is an excellent example to follow when writing an introduction, but not so much when it comes to constructing a thesis. In the true spirit of his show, Bob fashions an ambiguous thesis statement full of non-academic language. After all, “We don’t make mistakes, just happy accidents!” Oh, that this famous Bob Ross quote was true for essay writing too. Unfortunately, we students must write and revise our work with a more critical eye than Bob used to paint. For more information on how to properly structure your thesis, I encourage you to stay tuned for next week’s blog, “The Fulcrum of Academic Writing.” Michelle’s expertise will guide you far better than Bob can! In addition to reading our next Writing Process blog, consider this example thesis, which concludes my marketing essay introduction: “This success is fully credited to Dollar Shave Club’s use of an innovative marketing mix that includes differentiated products, low prices, online distribution, and unique promotion.” Do you see how this sentence completely narrows the topic and identifies the four points that the essay’s body paragraphs will discuss? While Bob’s thesis is general and vague, it does capture what The Joy of Painting series will be all about. Likewise, this specific and direct thesis provides a snapshot of what the rest of the marketing-mix essay will discuss. The marketing mix includes product, price, distribution, and promotion, and it is integral to the success of all businesses. Dollar Shave Club, a subscription-based shaving service founded in 2011, created a marketing mix that satisfied its target market. This strategy resulted in the company selling out of inventory and acquiring 12,000 subscriptions just six hours after its first promotional video was posted on YouTube. Michael Dubin and Mark Levine, co-founders of this revolutionary shaving service, clearly understand the importance of the marketing mix and know how to manipulate it to make a profit. Today, the firm estimates $140 million in sales, has two million online subscribers, and ships fifty million shaving packages every year. This success is fully credited to Dollar Shave Club’s use of an innovative marketing mix that includes differentiated products, low prices, online distribution, and unique promotion. 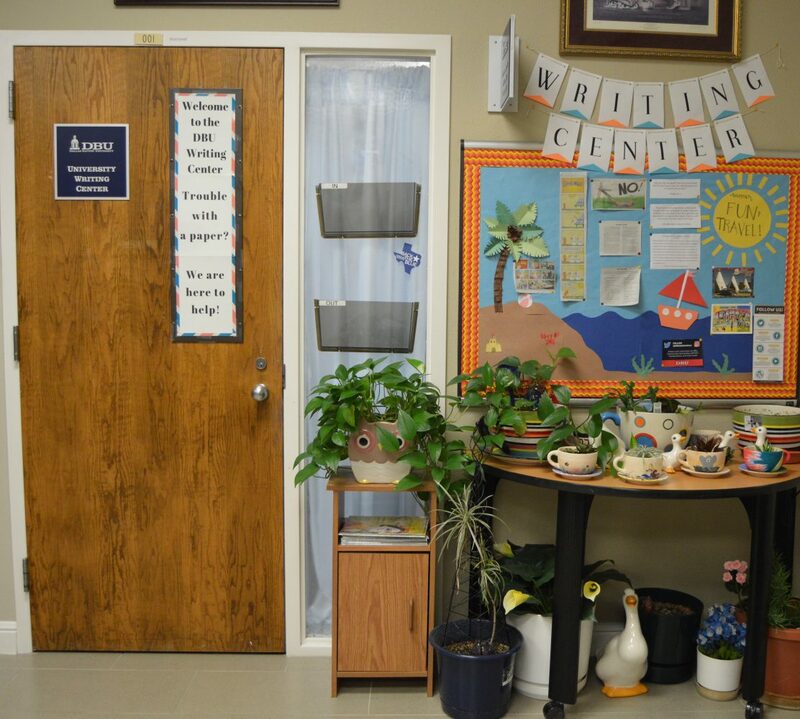 For more information on writing an introduction and other writing subjects, check out our Writing an Introduction handout and the Quick Reference Flyers page of our website! Thor is not from around here, and it’s safe to say he is somewhat unfamiliar with Earth culture and the regular use of the English language. His speech is characterized by an air of formality (“do not touch me”) and blunt directness (“This is beyond you, metal man”). Stark is essentially the exact opposite. He is as informal as possible (don’t take my stuff) and communicates in an indirect, illustrative way (“Uh, Shakespeare in the Park?”). In short, Thor represents academic writing, and Tony Stark is pretty much everything else. Advertisements, magazine articles, everyday conversations, and this blog: most of the world communicates in Iron Man fashion with contractions, figures of speech, slang phrases, pop culture references, first person language, and a slew of “normal” language devices that keep language interesting. Academic writing is, if you will, the Thor of the writing world; it does not make use of the fun and creative phrases people use most everywhere else. However, that does not necessarily mean academic writing has to be boring. The following examples address three of the most common academic language errors and some not-too-dull ways to revise them. First or Second Person Language: Words such as I, we, my, us, our, you, and the like are never acceptable, which can be challenging when writing an opinion based essay, but certainly not impossible. Iron Man Version: Throughout my research, I was unsurprised to discover that New York has a higher risk for alien invasion than any other American city. Thor Version: Extensive research has proven what many people assume to be true: New York has a higher risk for alien invasion than any other American city. Contractions: I know. Your fourth grade teacher forced you to learn all of these, and now I’m telling you they aren’t acceptable in academic writing…despite the fact I used two in this sentence alone. Spelling out words can feel uncomfortable when you are used to the shortened version, but it is not as hard to transition as you might imagine. Iron Man Version: Scholars don’t consider Spider-Man a contender for the title “Strongest Avenger,” but many citizens can’t imagine why this is the case. Thor Version: Scholars do not consider Spider-Man a contender for the title “Strongest Avenger,” but many citizens find it difficult to understand why he has never been considered for the position. Slang Phrases: This includes a host of different sayings such as clichés (blind as a bat), idioms (it will be a piece of cake), and colloquial words (lit, very). Slang is one of the trickiest mistakes to avoid, but an easy way to spot it is to ask yourself: if someone was new to the English language, would he or she know what this phrase or word means? Iron Man Version: Research pinpoints the start of the Avenger’s Civil War to the fact that Captain America got bent out of shape over the Sokovia Accords, and he refused to put his John Hancock on the document. Thor Version: Researchers attribute the start of the Avenger’s Civil War to Captain America’s indignation over the Sokovia Accords and his refusal to sign the document. When in doubt, remember that, as wonderful as Tony Stark may be, writing academic papers is a time to be Thor, not Iron Man. Because that’s what heroes do. For more information on academic writing and other writing subjects, check out our Characteristics of Formal Academic Writing handout and the Quick Reference Flyers page of our website! I’m not going to lie; writing is hard. Even as an English major who works in the Writing Center, I find writing difficult. I love writing, but that doesn’t mean I don’t struggle. I think the toughest part about writing is actually starting the writing process. I can have my topic picked out and all of my research done but still have absolutely no idea where to go from there. Maybe you’ve been in that boat, too. You might have a great idea for a written composition in mind but not know exactly what to start writing about. This is where an outline can truly save the day. An outline can be the most helpful method in the writing process. It can help to break down broad ideas and organize them in an understandable way. By creating an outline, the writer gives form to his or her thoughts and to the paper itself. I find it helpful to simply jot a few points down first. What are some of the major issues that need to be addressed throughout the essay? How do they relate to each other? What evidence is there to support the claim? Think about these questions pertaining to the topic and write down at least three ideas you would like to discuss in the paper. If there are more than three points, that’s good. Longer papers require more content. And sometimes, smaller points can be included within the larger points if they are closely related. Ever heard of the expression “it’s better to have too much than not enough?” Well, it is always better to have more ideas to work with than fewer. Now, it is time to take on the thesis. The thesis will include the main points previously mentioned. Remember not to include too many details in the thesis, but give enough information so that the reader has a sense of the purpose and structure of the essay. Think about it like this: if you were to summarize your entire paper into one sentence, then that would be your thesis. For example, I wrote a paper about digital technology and its impacts on society. I knew there were at least three areas of impact I wanted to thoroughly address, so I put those in my thesis. My working thesis statement became something like “The long-term effects of the digital age can hinder the health, education, and even character of the current and future generations of society.” My thesis clearly states my essay’s topic, the negative effects of digital technology, and gives a general overview on the types of problems my paper addresses, which are the impacts in the health, education, and character of current and future members of society. Notice there are no specific examples or evidence in my thesis, but simply a general idea and some organized points. The thesis doesn’t have to be perfect yet; you can always work on the grammar of your thesis later when you start writing your paper. You simply need to get the main ideas of your paper down into one sentence. This is the most important part of the essay because it gives the reader a preview of what is to come. The thesis and the main points are the core of the paper, so once those have been solidified, you can start working on the details. For the main points, research and support will be needed. Under each point, write down some examples that can support that point. These may consist of examples from a literary work, a fact quoted from a science textbook, or a statistic from an internet article. List everything that supports your point and be sure to cite your sources when it comes to putting quotes and paraphrases into your paper. If you’ve made it this far, then congratulations! You’ve outlined most of your paper. The only things left are the introduction and conclusion. For the introduction, list some things that would be helpful information for the reader to know in order to understand the subject of the paper. Are there any terms that need defining? Would giving a brief plot summary help? Basically, list any background information that you consider necessary in order to understand the topic. As for the conclusion, three things should be included: thesis, summary, concluding last statement. I’ve found it helpful to list these things out so that I remember what I want to write in the conclusion by the time I finish my paper. It is best to restate, but also reword, your thesis in order for the paper to appear cohesive. Then, summarize the main points of your paper. You can even refer to the bullet points you wrote in the beginning of the outline. Lastly, you’ll want a concluding sentence or two. It might be a call to action or statement of importance. It needs to be something that ties the paragraph together. This outline technique has benefited me many times in the past, and I hope it benefits other writers, too. If this method doesn’t work for you, that’s fine. There are several different ways to outline a paper. This is simply one of them. I know writing is hard, and starting the writing process can be quite the challenge. That 8-10 page research paper can seem like a beast that might bite your head off, but don’t worry. It is best to simplify your thoughts. Break them down to organize them, and you’ll be able to build them up again to write that essay. For more information on outlining and other writing subjects, check out our Outlining: Structuring a Paper handout and the Quick Reference Flyers page of our website! Have you ever been assigned an essay and thought to yourself, “I’m just going to write what my professor wants to hear because she’s the only one who’s going to read this, and my only goal is to get a good grade.” I know I’m guilty of having thought this before! In academia, audience analysis is the most forgotten step in the writing process. It’s easy to overlook because, in the end, your professor usually is the only audience member. However, writing in the real world will not be that simple. No matter where you work or what you do, writing will always be a part of the job! Whether you’re writing an article for a non-profit’s weekly newsletter, creating a Sunday bulletin for your church, drafting an email to the staff members you supervise, or preparing a major press release for a client of your public relations firm, all these writing situations have one thing in common: a unique audience. This is why audience analysis is an integral step in any writing process. So why is analyzing your audience so important? As a public relations major, this is a question I often ask myself as I study how to better communicate, and it applies to other fields of study as well! The first reason you should analyze your audience is because it allows you to communicate effectively. To do so, you must pick the right topic and convey that topic with appropriate diction and word choice. This cannot be done without considering your audience. Take my first two examples from above: if you’re on staff with a non-profit organization that reaches out to single mothers struggling with unplanned pregnancies, your newsletter topic and the way you convey it will look much different than if you’re on staff with a church preparing an ad in the Sunday bulletin for a young mother’s Bible study. Familiarizing yourself with things such as age, marital status, education, financial status, and other attributes of your intended audience will significantly improve the way you communicate. The second reason you should analyze your audience is to sharpen and focus your content. Knowing your audience allows you to include relevant information not only in the body of your work but also in your introduction and conclusion. Now, take my last example from above: when writing a press release, knowing your audience (a group often called gatekeepers, or journalists, in the PR world and target market in the marketing and business worlds) is extremely important when deciding what details are included in the first few paragraphs of the release. Without knowing who the audience is, what they are looking for, and which details they need most, I am unable to grab gatekeepers’ attention, which ultimately means that my press release gets no coverage and fails to communicate. While this example is specific to the PR field, it is always important to know your audience so that you can refine and polish the content of your writing! Start broad. Ask yourself: what is known about the audience? This means asking simple questions such as what is the audience’s age range? What percentage of the audience is married? And what social class does the majority of the audience fall in? Relate your audience to your writing. Ask questions like how much does the audience already know about the topic? What does the audience need to know? What level of language and content will the audience be able to understand? The answers to these questions can often be found by asking: what is the audience’s general level of education? And what are their professions? Gauge the audience’s anticipated response to your writing. This includes questions such as what is the audience’s view on the topic? And will the audience agree, disagree, or remain neutral? Question the audiences’ general race/ethnicity, gender, social class, religion/values, lifestyle, and cultural background to answer these types of questions. In any writing situation, these are just a few of the questions you can ask and attributes you can examine when attempting to get familiar with your audience. Analyzing your audience at the university level can be tricky and seem like a waste of time when only one person is likely to read your essay, but getting in the mindset of real-world writing and practicing analyzing a hypothetical audience will ultimately benefit you in whatever career path you choose! For more information on audience analysis and other writing subjects, check out our Audience Analysis handout and the Quick Reference Flyers page of our website! Texan 1: We’re going to Sonic, y’all want a coke? Texan 2: Sure, get me a Dr. Pepper. Texan 3: Yeah, I want a cherry Coke. Texan 4: I’ll take a Sprite. See? Simple. In Texanese, “coke” is just a generalized category that umbrellas dozens of beverages. Just as “Mexican food” and “rom-com” and “soda” are unspecified generic topics, so is the word “coke” in Texas. An argument paper about making college free for everyone. A compare and contrast essay of the ancient Hebrews and pagan religions. Although the idea of tuition-free college sounds appealing to many, universal post-secondary education is dangerous to the quality of university education, the health of the economy, and the careers of future graduates. Thomas Paine and George Washington had vastly different roles in the American Revolution, but their similar transformational leadership styles encouraged and equipped Americans to achieve victory in independence. The ancient Hebrews and pagans shared similar proverbs and cultural tales, but the two groups differ greatly on their theology of God and humanity and practices for worship. Now you’ve transitioned from generic coke to Dr. Pepper, Orange Fanta, Diet Sprite, and whatever else the kids are drinking these days. The original topics pointed in a general direction, but the theses that evolved from them are highly specific. As you prepare for the semester ahead and struggle to get back in the academic swing of things, remember that the difference between a topic and a thesis is as simple as knowing that, in Texas, when somebody asks if you want a coke, you better tell them what kind of coke you want. Otherwise, they’ll probably bring you a Dr. Pepper because this ain’t New England, y’all. * No Yankees were offended in the making of this blog. My dad and my fiancé are both from Not Texas, and I love ‘em both. ** I’m not as blatantly Texan as I appear. I had to Google “famous country singer” because I had no idea. You’ve probably read countless blogs talking about writer’s block. Everybody gets writer’s block from time to time, even good students who never seem to be behind on their work and authors who get paid to write. What makes this blog different from this one, this one, or any other of the thousands available on the World Wide Web? Well, I’m not going to waste time telling you sappy things like, “You’re not alone” and “Just let it pass.” I’m going to give you some hard and fast definitions and advice to both prevent writer’s block and defeat it once and for all. As I’ve always understood it, there are two kinds of writer’s block. I grew up battling creative writer’s block, where I had no idea what should happen next in the plotline, or I just couldn’t seem to describe a scene right. The task of the creative writer is to come up with something that no one else has ever thought of before or invoke a certain emotional response in the reader. Academic writing isn’t quite the same. Usually, professors give their students the basics of what ideas should go where in an assignment, but students can’t think of an interesting enough topic, or they get stuck on what else to say about the topic that falls under the boundaries of the assignment. The good thing about my encounters with writer’s block is that I tend to start working on projects far enough in advance that I can sit on them for a while without inviting disaster. That gives me time to be attentive to the world around me with my writing in mind. I’m pretty much always on the lookout for new things to discuss and new ways to apply concepts to my writing. Every odd, unusual, or funny thing that happens to me goes into a list on my phone (or on my Twitter, if it’s really good); then, when I get stuck on a piece of writing, I can go look at that list (or my own Twitter profile) to see if I can work a little creative magic. Assuming you don’t have a running list of wacky stories—and your paper is due before you can experience a few—there are plenty of other ways to kick writer’s block. If you’re stuck on what to say next on a college paper, try looking at your material again, but from a different perspective. Are there any questions left to answer? Is there a part of a source you haven’t read yet that might be applicable to your topic? Pretend you are reading it all—the prompt and any research you’re using—for the first time, looking for any and all information you can find. You’ll learn more, and you might discover a new angle from which to approach the paper. What if you just can’t get wild about your topic? We’ve all been there. My best advice is to try to find an aspect of that topic that interests and motivates you. For example, when I was taking a Communication Theory course, I had to write two pages about a theory I didn’t understand or care for. When I realized I could apply the theory to something I loved—video games—I suddenly had a lot more to say about the theory. Looking at it that way helped me understand the theory better, too! Another method that works for me is one I haven’t heard anywhere else: pretend you’re explaining your topic to a friend. In a separate Word doc (or whatever you want to use), write down what you would say to someone who is not taking the same class you are. Better yet, talk out loud to a friend or a Writing Center consultant (#shamelessplug) about your topic. Try to answer any questions they can think of. Doing this forces you to think about your topic in a different way and may even bring up some extra points to consider. Finally, if all else fails, put down the books, close your laptop, and go take a shower. My experience tells me that the best ideas almost always come when you least expect it and when you’re least able to write things down. You’ll have to work to remember it, but it’ll be worth it. The most important thing about defeating writer’s block is to just write something, anything down. Your professors likely won’t accept “I just couldn’t think of anything” as an excuse; they’ll want to see your mastery of the concepts they’ve taught you. Show them what you know and write something. You can always come back to it later, and it might turn out better than you thought. You are a human, created in God’s image. You are smarter than writer’s block. Don’t let it defeat you! For more information on writer’s block and other writing topics, check out our Overcoming Writer’s Block handout and the Quick Reference Flyers page of our website!